Merry Christmas!! We are bringing you a special Christmas Edition of our Sweet Sunday! Everyone on the team made a Christmas card with our Rubbernecker Stamps. I used the Snowflakes and Stardust Set. 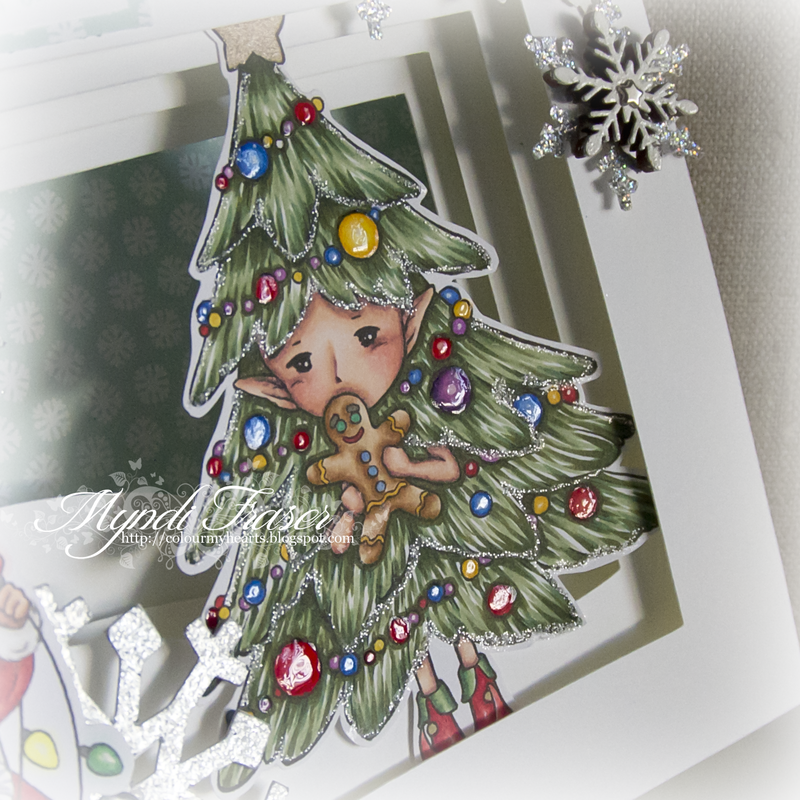 Today I have a Christmas card made with an image from The Paper Nest Dolls, Winter Gift Emma. 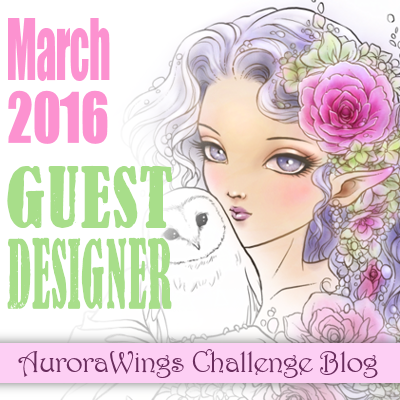 I was asked to be a Guest Designer this week, so I hope you'll pop on over to her Facebook page or her website and show her some love for her super cute images. 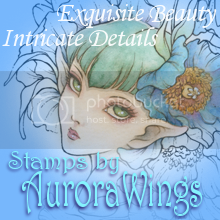 My DP is from Stampin' Up. The flowers are from Wild Orchid Crafts. I tucked some cheesecloth behind the image mat, and a little bit of gold ribbon in the top corner by the flowers to fill in what felt like empty space. I coloured the image with Copics and glitter gel pen (just on the present). I hope you like it. You can find The Paper Nest Dolls in rubber and digital formats. Drop by the website and check out these cuties! 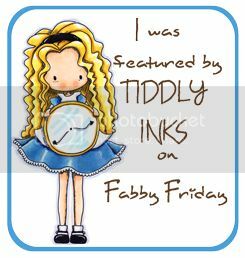 It's Monday, and time for another Rubbernecker Stamps project. 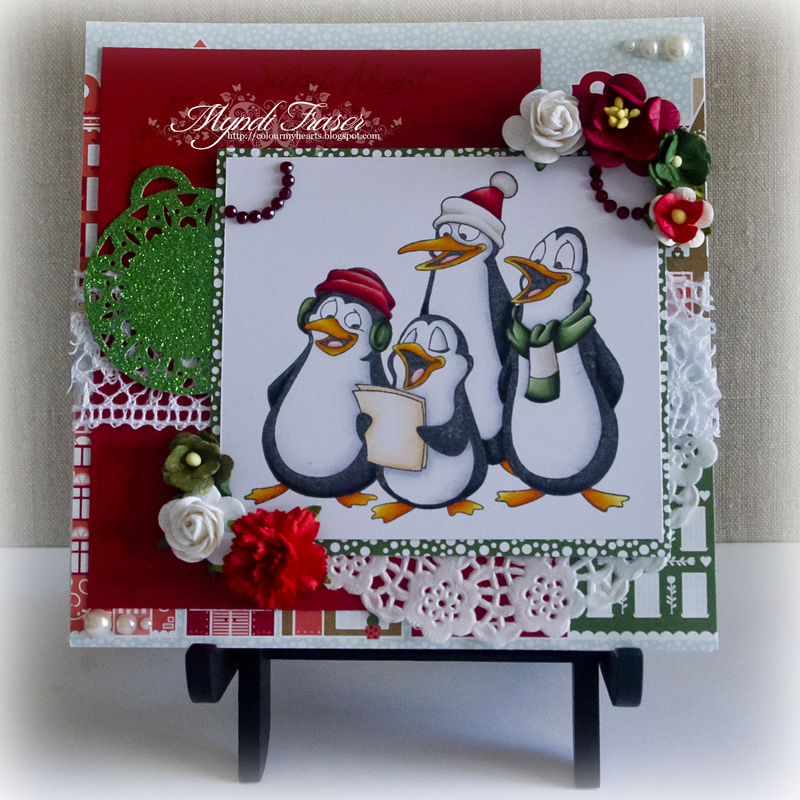 I am back with another Christmas card this week using the super cute "Caroling Penguins" stamp and the "Silent Night" background stamp. 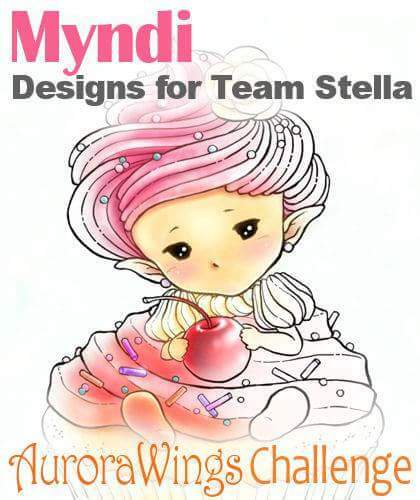 Today is the start of a new challenge at Aurora Wings, and the Stella DT is challenging you to create a project with a "Winter Wonderland" theme. I have wanted to make a shadow box card for quite awhile. I have had my Cameo for a couple of years, and have done a pitiful job learning how to use it. This was the opportunity I needed to brush the dust off of it and put it to work! I used two Aurora Wings images for this: "Christmas Lights Sprite" and "Christmas Tree Sprite". 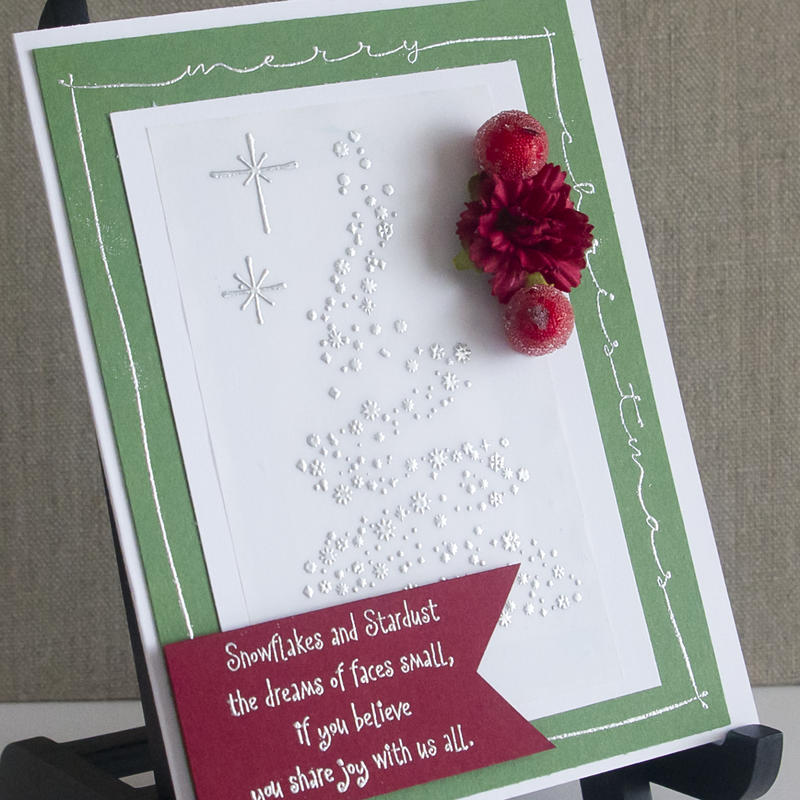 The wood snowflake embellishments are from South Ridge Trading, the silver glitter snowflakes are from a Martha Stewart punch using some scrap glitter paper from a previous project. 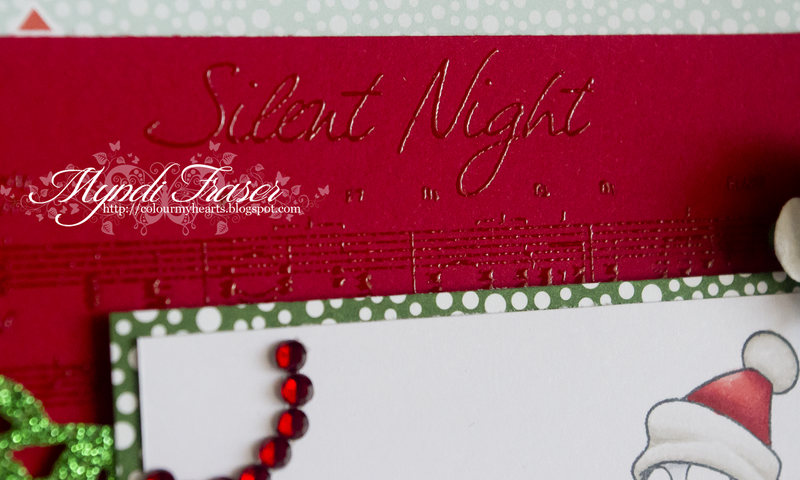 I used Versa Mark and some opaque Snow embossing powder to make my wood snowflakes white.